Mornington Peninsula Brewery's #tinnage series of one-off canned releases reaches double figures here as they revisit a beer originally brewed for and with Brisbane's Brewski for Pint of Origin back in March. It was one of the earlier appearances of a NEIPA Down Under, a statement that makes it apparent just how insanely fast they've appeared in the eight months since, with its name a reference to a Tom Waits and Screamin' Jay Hawkins skit. The beer itself more than meets the hazy requirement of the style, leaving hazy in its dust, pulling onto the hard shoulder as it passes cloudy and settling in next to soupy for the ride. That full body, low carbonation and little in the way of bitterness ensures it's an easy one to slide down, bringing some some citrus and pale malt flavours and aromas along in its wake as it does. 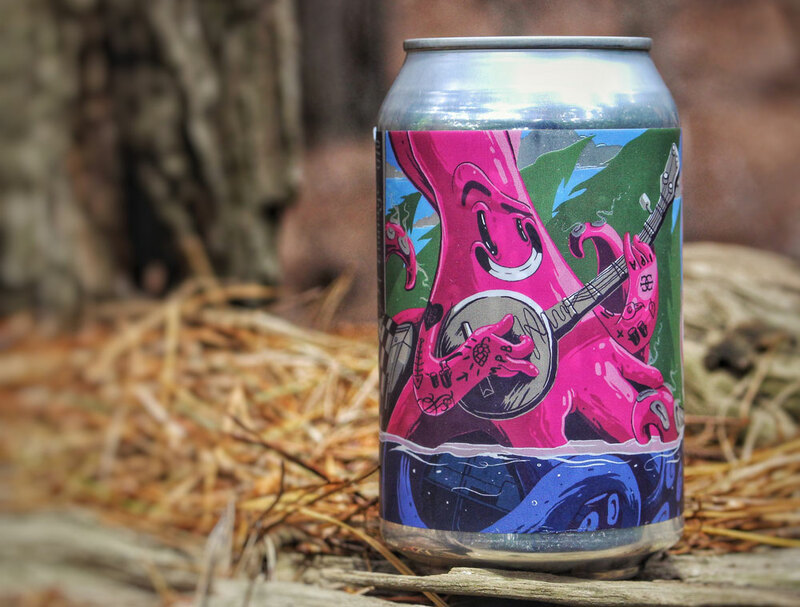 As for the artwork, it comes from Melbourne illustrator Jake Minton, who's conjured said Jiffy Squid sat atop Vermont manufactured missiles, playing banjo and covered in tatts in front of a New England pine forest.